My husband and I just got new phones and, while attempting to set up our new phones, we realized that we have forgotten about half the passwords for our different accounts and apps! I'm usually good about recording important account passwords, but sometimes you forget to record the little stuff like your Facebook password. Oops! 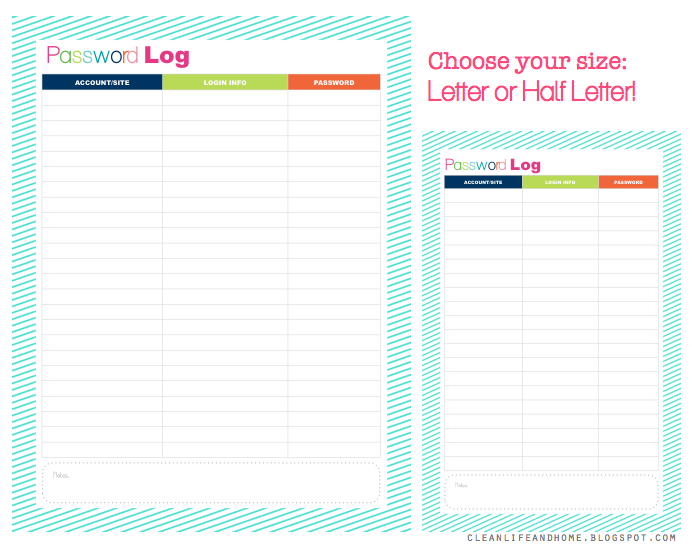 Here's a colorful password log to help you keep track of ALL your passwords! I created printables in letter size (8.5" x 11") and half letter size (5.5" x 8.5") and set them both up for easy 2-sided printing. 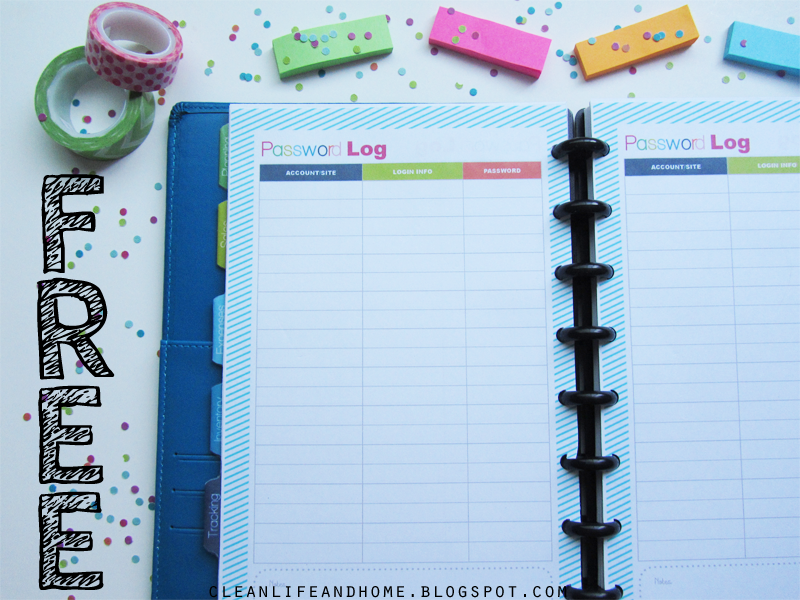 Add them to your planner, household binder or even create a separate binder just to keep track of your passwords! Visit my shop for even more Printables! Hi! What is that blue notebook/binder you used in this photo?